For me it’s in relation to the Like & Share buttons for the facebook page of Wanttono, so Facebook shows you two code snippets. 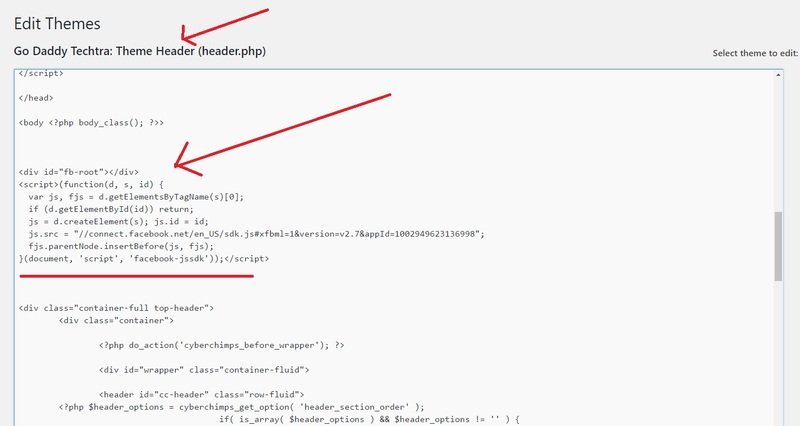 Copy the first code (SDK) snippet and paste it in your theme or child theme’s header.php file right after the <body> tag. Next, copy the second code snippet and paste it anywhere you want to display the page like box.